Hammerhead 2015 is being run by Kallistra Ltd and The Forest Outlaws Wargamers Club with assistance from the GCN. Please have your show pre-orders to us by Monday 23rd February. Every game at Hammerhead is visitor participation, which means that you are very welcome 'to have a go’ at a wide variety of different historical and fantasy based games run by intrepid gaming clubs, historical societies, wargame companies and enthusiastic groups of gamers. 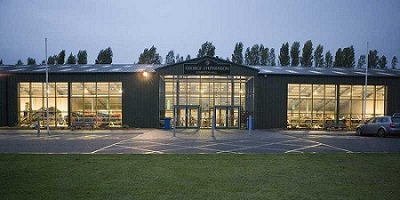 Hammerhead 2015 has moved to a new larger venue to The George Stephenson Exhibition Hall at Newark Showground, which offers a welcoming, environment with plenty of natural light in which you can play games, shop for wargame goodies from a selection of top traders positioned around the perimeter of the hall. Check out http://www.hammerheadshow.co.uk/ for more information. If your'e on Facebook how about a like on the Hammerhead Show Facebook Page! Check out the forum too! 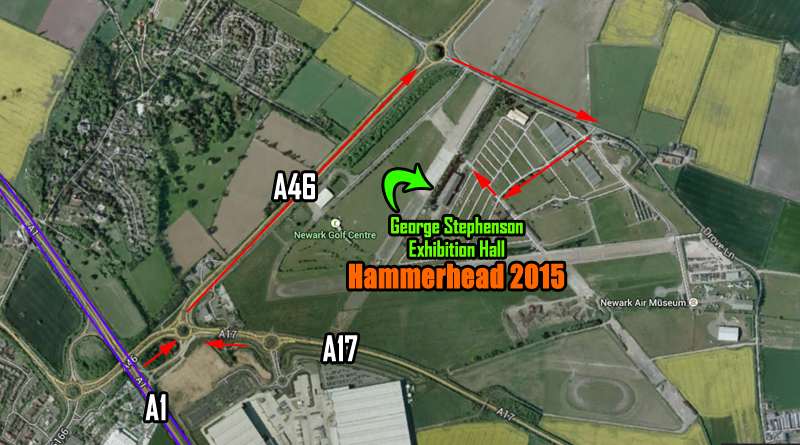 Access to Hammerhead 2015 is through the main gates at the Newark Showground as in the map above.